I've quit Bitshares for 2 years...why am I back?steemCreated with Sketch. Me and Bitshares go way back. It was love at first sight. Oh yes, 3 years ago, while I was listening to one of Dan Larimer first keynote speech, I decided that it was the kind of project I would like to get involved in and I bought bitshares even before owning bitcoins. Needless to say that ever since I've joined bitshares it has been a loooong bear market. The investment didn't pan out...Yet, I am still amaze at how people just keep having faith in the technology and have kept plowing and improving the code. After 2 years, I came to the conclusion that even though the technology was amazing that the market wasn't looking for a decentralized cryptocurrency exchange. A year went by and then some old friends from bitsharestalk forum told me about this brand new thing called STEEM. I was skeptical at first, in February 2016, because I couldn't even register to the website without jumping through so many hoops that it reminds me of shadow deals in back alleys of the China Town in Montreal. When the registration process improved around May, I joined and caught the vision. I knew this things was going to be YUGE. The rest is history. Why Am I Back On The Bitshares Train? Since we are talking about an exchange running on a blockchain, the success of the platform is intimately linked to the amount of liquidity and transactions occurring on the network. Of course, bitshares is much more than that but right now it's the primary option. Everytime a transaction is filled, the DEX(decentralized exchange) is collecting fees in the form of BTS. The more fees are collected, the more valuable the DEX become. Combine this with the announcement of STEALTH transactions AND the recent stress test showing a capability of process up to 3300 transactions per second...stars seemed to have aligned enough to tell me that right now bitshares is going places. This is not investment advice and please don't invest money that you can't afford to lose. Have fun, steem on and beware, this is cryptoland...anything can happen! I had to get on board when I saw what it could for businesses. Amazing stuff!! I agree that it's not user friendly, at least for me as a non-computer geek. I have the Bitshares2-light wallet on my desktop, go into it often, try to understand it, try buying and selling, get confused, google for help, look at the "help" files, ask for help, read the forums, and get nowhere. It's frustrating because it's way over my head. Be careful with the liquidity graph; it may look compelling and heading for the skies, but it is always worth asking what other explanations there might be. For example if a project is focused on stress testing the network. I see that the API has progressed and that bots are increasing trade volume, batting trades back and forth between themselves. If sustained, improved liquidity can only be a good sign. Good luck to the Bitshares community. Great Piece! I was all excited about BTS but a couple of years ago I got out. maybe I will have to take another look at them. Thank you for posting @cryptoctopus. Appreciate the update regarding BitShares. Will give it another look. yes it does. But you know what they say...buy when there is blood in the street. Right now its a carnage. Thank you. I was unaware of such growth! Your reward for being in Promoted is an upvote and 0.034 SBD extra promotion. Good read! Totally agree with being skeptical at first with all the hoops we had to jump through during registration. glad you are back! I was reading the Bitshare story just recently; it's coming. It's interesting. You're certainly not the only one, and I wonder why. I think it is because people that aware of the potential of Bitshares often don't mention it by name, but rather speak of some less threatening project, like NXT or Hyperledger. What Bitshares needs is more Fiat Gateways. I know that governments regulations makes it expensive & burocratic to add more of them to the network but if it can be done...to the moon! agreed. That would help a lot for sure. I have owned BitShares since their inception and I am still buying. Welcome back @cryptoctopus, I also looked at bitshares and didn't really dive in until after getting involved with STEEM and steemit.com. I think you've made a wise choice cryptoctopus! With the stock market in a bubble and fiat currencies losses value around the world. People are looking for good places to find valuable assets and investments. I personally prefer digital gold (bitGold) over paper gold in the markets. Plus, Steemit gives the power and income earning to the people where it belongs! Bitshares community is the future! Thanx for sharing this. Looks like it would be a good time to reexamine Bitshares and what they have to offer. What's the easiest to understand way to explain to someone the benefits of bts? BTS, as with many crytptocurrencies these days, blurs the boundaries between currency and stock. 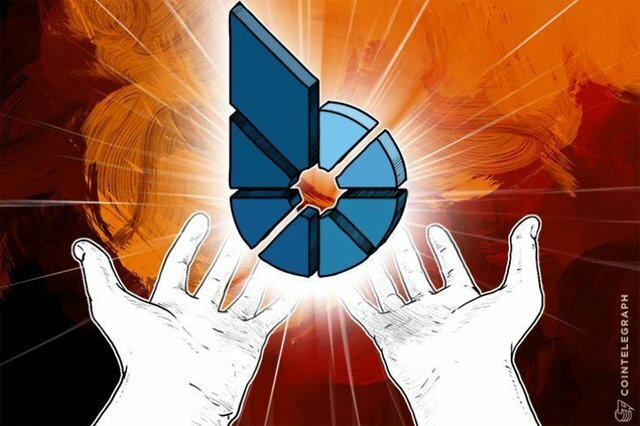 Buying BTS buys ownership of the Bitshares company. Some may balk at calling it a company, but the founder has himself called it that, amongst several other terms such as a bank and a country! One of the most exciting aspects I see in the Bitshares ecosystem is the prospect of a decentralysed crypto exchange that is ever present and ubiquitous, defended by the blockchain instead of the more traditional defences of existing centralised exchanges which have shown themselves to be vulnerable and suffer from trust issues; there are frightening temptations for "inside jobs" relating to exchange hacks. Build, save and earn. Bitshares is the decentralized exchange and platform for entrepreneurs, traders and investors. Hello, I found this very interesting i dont know about bitshares . I am new here maybe you consider checking my blog ? In crypto world, it takes time for a successful​ project to start moving. You're back because you want money. I mean you're back at bitshares and write about it because you want money. well, I want to invest in bitshares because I want to profit if it ever goes up. All I'm doing is sharing my story, I had no guarantees that people would like the article. What I'm curious about is if you are different from me...do you write hoping to make money or are you virtuous enough to decline all payout on your posts? I would have to agree with your sentiments! Very well put together article, welcome back to the game! Good post, I enjoyed reading this!! !